Fancy Pans Café: Pals on The Somme. Poems with great Lancashire/Yorkshire Fayre. Pals on The Somme. Poems with great Lancashire/Yorkshire Fayre. The doors of the Fancy Pans Café are flung open offering a fabulous menu from - - - Lancashire and Yorkshire! Yes, the cuisine of France tempts discerning diners into every Cafe, Bistro and Restaurant, but given our location, today’s dishes have a northern charm. I hope you will also enjoy the poetry . We are in a place called Sheffield Park; a tranquil and somewhat overwhelming corner of Somme countryside. It’s quite a walk from the main Serre Road. You can also get here by car if it isn’t too wet – you won’t want to get stuck in the Somme mud on rainy days though. The lane which takes you there is a dirt track across fields of crops. 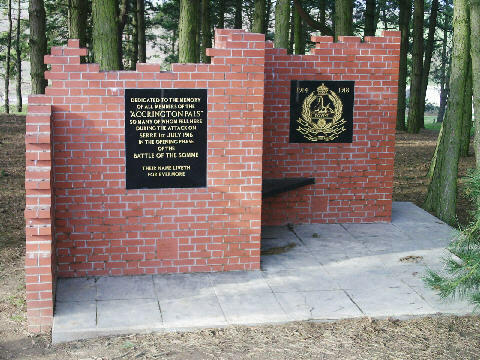 You will see a British Cemetery (Serre Road No 3) and just behind it is Sheffield Park. The path is lengthy and you never know, you might find some shrapnel, a bullet, a shell or other long buried relics of The Somme battlefields. (Best not to touch the shells though, they may be live). I hope you will like the poetry. 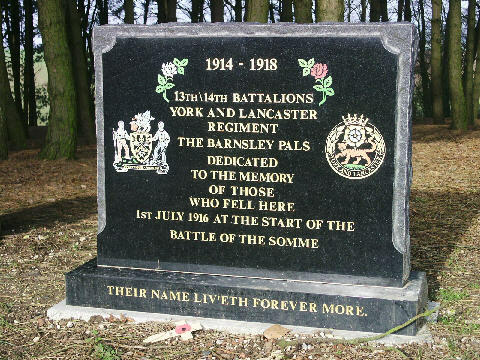 To the brave Pals from Accrington. Here, to their final resting place. 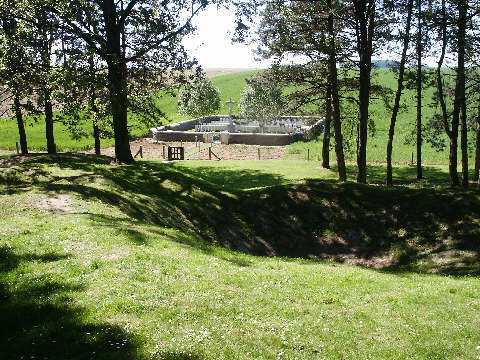 Shell-holes where men lost their lives. Nearly a hundred years ago. John William Streets. John's body was not found for almost a year. In memory and honour of these brave Pals, I have written a poem, which I would like to share with you . where we once saw the dawn. where we once carved our names. that once warmed our cold backs. where once we sought sleep. that once oozed the smell of mortal fear. divided ranks, into hell we ran. with the vile taste of despair. where a Bergmann gunspat our names. Thank you Syd, ninety-five years since the first day of the Battle of the Somme, 1st July 1916. Those brave men had no choice, what an utter, tragic waste of life.